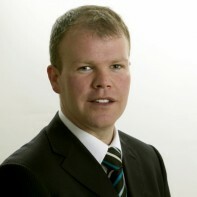 Sinn Féin have nominated Peadar Toibin as the party's candidate in Meath West. Toibin was co-opted onto Navan Town Council in 2007 and retained his seat at the June 2009 elections, though he missed out on a seat on Meath County Council at the same ballot. Alongside his duties as Deputy Mayor of Navan, he currently operates his own management consultancy firm, Realt* Consulting.